When tragedy strikes, the victim often asks, what have I done to deserve this? Or, why did God do this to me? 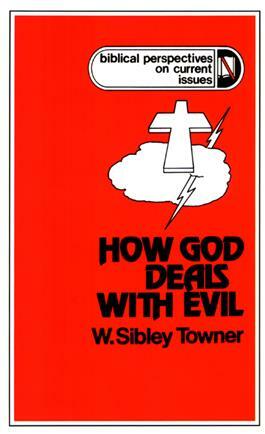 Here, in W. Sibley Towner's absorbing book, we see the practical implications of biblical theology demonstrated, as they relate to how God deals with evil. The author explores the entire sweep of the canon to show the complexity of the subject, and illustrates a method for dealing with a subject that pervades the whole Bible. The incarnation itself and biblical realism, Towner believes, show that our life-styles as Christians have to be built upon the knowledge that God is for us--a cause of hope and joy. Towner's fresh approach will be welcomed by pastors, counselors, and all who seek understanding of how God deals with evil.